Conveyancing Solicitors Fees - Conveyancing Marketing Services Ltd. Conveyancing Marketing Services Ltd.
Conveyancing is the documentation of the transfer of ownership of land from one party to another and conveyancing quotes relate to the solicitor’s charges for undertaking this work.. In law the term conveyancing relates the transfer of legal title of property from one person to another, or the granting of an encumbrance such as a mortgage or a lien. Here at CMS we offer you the three best conveyancing solicitors fees available from our nationwide panel of property lawyers. The term conveyancing may also be used in the context of the movement of bulk commodities or other products such as water, sewerage, electricity, or gas. A typical transaction contains two major landmarks: the exchange of contracts (whereby equitable title passes) and completion (whereby legal title passes). A buyer of property must ensure that he or she obtains a good and marketable ‘title’ to the land; i.e., that the seller is the owner, has the right to sell the property, and there is no factor which would impede a mortgage or re-sale. A system of conveyancing is usually designed to ensure that the buyer secures title to the land together with all the rights that run with the land, and is notified of any restrictions in advance of purchase. In most mature jurisdictions, conveyancing is facilitated by a system of land registration which is designed to encourage reliance on public records and assure purchasers of land that they are taking good title. 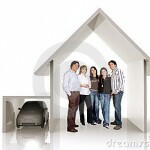 CMS provide you with cheap online conveyancing quotes that are easy to understand. All disbursements are listed and the total price for the transaction plus disbursements is added up for you. Thus you know exactly what fixed fees you are liable for. You will receive a selection of our best three competitive conveyancing quotes including a local one (where we have a panel solicitor available). Just fill out a few details below and a member of our team will call you back when it's convenient for you.